Kitchen Chicago sponsors Chappell School! for their Knight Level sponsorship! Community partners like Kitchen Chicago have helped expand opportunities for Chappell students this year. The parents, Local School Council members, teachers and administration all thank our donors for enhancing the Chappell experience. Kitchen Chicago is a "shared use" commercial kitchen meeting your commercial kitchen needs without the expense or long lease of a permanent facility. 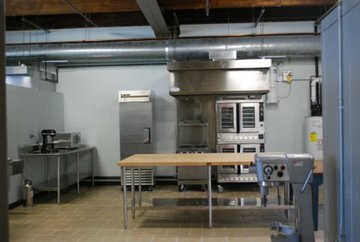 Please visit www.kitchenchicago.com to book space for a culinary event, to cook a new food concept, for event food preparation..."Kitchen Chicago provides a fully equipped, commercially licensed shared-use kitchen available for rent by the hour". Commercial kitchen and event space available by the hour. Chappell Elementary is a neighborhood Chicago Public School located at 2135 W Foster Avenue in the Ravenswood neighborhood of Lincoln Square. Great teachers, great facility and forward thinking administration have made this a new school of choice on the North Side. Please contact Eric Rojas at erojas@kalerealty.com for ways to get involved with Friends of Chappell, donate or contribute in any way to Chappell school. Lincoln Square condo sales really slowed after the 2008 market crash. Let's take a look at the numbers this year... and back then. 226 condos have sold to date this year. That's up slightly over the 215 closed during the same period last year. 61 of those sold were under $100,000 and mostly located in the northwest region of Lincoln Square. This is where dozens of ill fated condo conversion buildings have been selling short-sale and foreclosure units. The vast majority of the lower end sales under $100,000 required cash. 2012 median price is about $200,000. 2011 median price was about $200,000 as well. 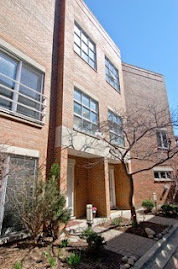 On the high-end this year 2000 W Berwyn #402 sold for $510,000. The newer construction 3 beds, 3 baths penthouse with elevator and garage parking features terrific roof-deck outdoor space. A townhouse I've always liked at 5115 N Damen Unit A sold for $505,000. It has a great top floor family room that opens to a roof deck. 57 units in 2012 have sold for $300,000 or above. 51 units in 2011 sold for $300,000 or above during the same period. It is still hard for many people to comprehend the wild drop in condo unit prices and unit sales from before the 2008 financial market crash until now. Take into consideration that in 2007, 540 condo units were sold. None were sold under $100,000 and 227 units were sold over $300,000 (contrast that with the 57 units sold over $300,000 this year so far with only a couple months left). Although condo sales and prices have looked stronger this year in neighborhoods like Lakeview and Lincoln Park, Lincoln Square may remain flat for another year possibly dead on with last year's sales and median price. I took this photo with clients over the summer while looking for homes in Wilmette. It's always exciting going to see homes that prove very interesting. 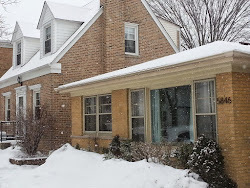 The clients and I shard a fondness for mid-century modern homes and the landscape aesthetic for the under $400K price in Wilmette was really terrific. This house on Crawford offered a lot of promise. However, they ultimately stayed in the city and bought this custom house beauty in Peterson Park below. Both of the homes offered layouts that were a bit surprising and very cool! Both were on great blocks with good schools. 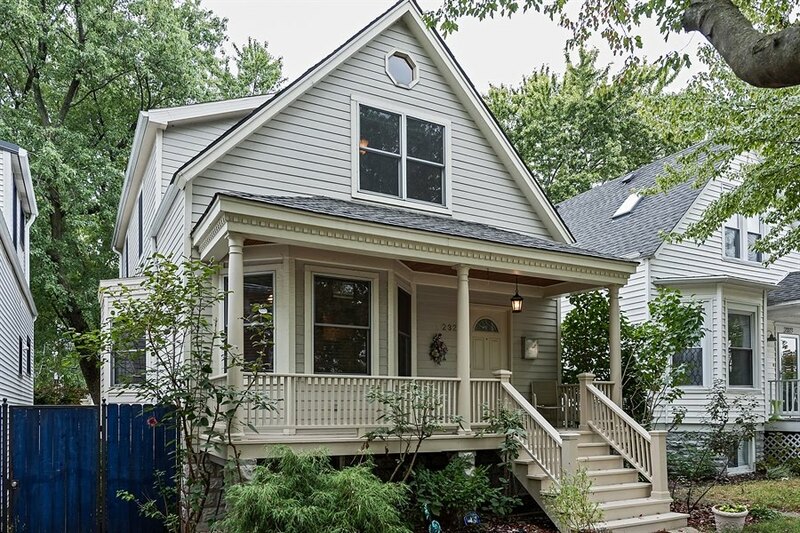 The North Center single family home market has been super heated and Lincoln Square homes have been pricey for many wage earners for some time. The Irving Park Community Area is filling the void for many of these single family home buyers that are priced out just east. The area offers several distinct geographic areas developed strategically around transportation and parks. Better yet, the transportation and parks (namely the highway) developed right through the area at times in its history. Most locations are easy to highway access to downtown or the suburbs. It's a short trip back in to Lincoln Square and North Center dining, business and amenities. Some areas of Irving Park offer higher-end homes as well that compete with their eastern neighbors pricing but offer more land. 162 single family homes have closed from January 1st to October 21st of this year That's up 25% over the same period in 2011. 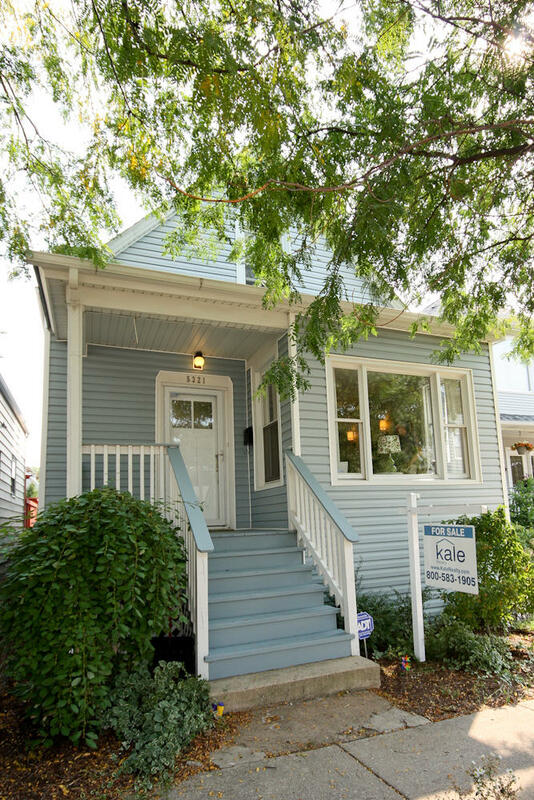 The highest closing this year has been 3908 N Kildare, a double-lot mini palace in Old Irving Park for $1,075,000 (really nice 2007 built home and lot). The next highest was $774,000...so a large drop-off. 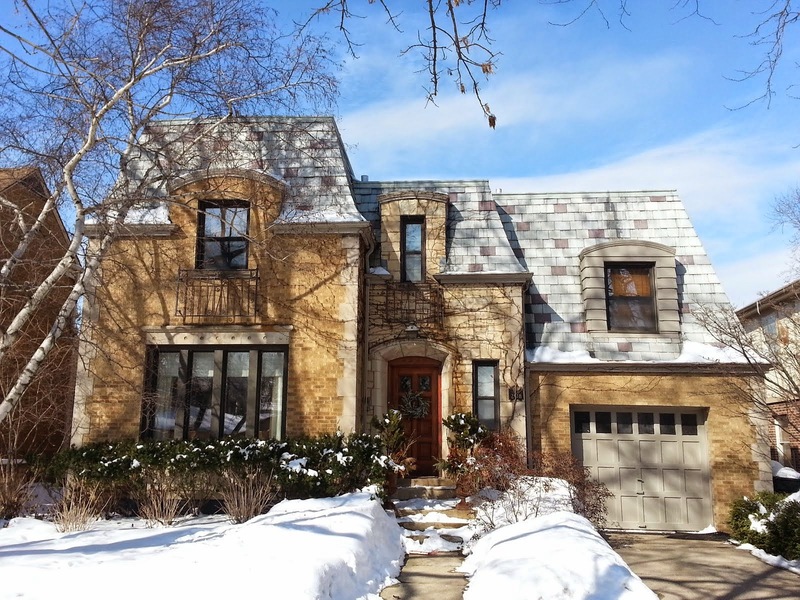 There are a few other options from $800,000 to over $1M in Irving Park now. 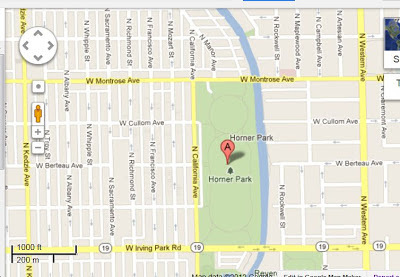 In 2011, 32 of the 134 (24%) Irving Park homes sold were either a short sale or foreclosure (bank owned). In 2012, 46 of the 168 (27%) Irving park homes sold were either short sale or foreclosures. The distressed property and estate sale market has helped a renovation and re-sale boom throughout the Irving Park neighborhood. All data gathered from MREDLLC.com data and interpreted by Eric Rojas, Real Estate Broker. Wicker Park is cool. It's also a neighborhood to find vintage, traditional, transitional, loft and ultra modern style condos. Not every neighborhood can offer such variety of housing amongst both urban grit and post-hipster paradise. 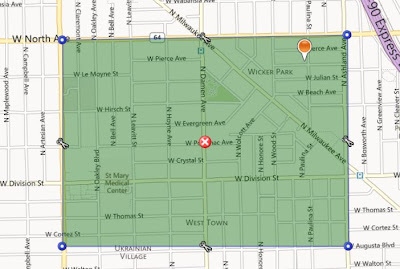 I expand the southern border of Wicker Park a bit to include 900 North to 1500 North and 1600 West to 2400 West. The official neighborhood boundary is Division on the south, but I extend it as sales just south of Division are highly due to the Wicker Park neighborhood and gravity of Division Street restaurants and bars. There have been 201 condos closed this year in the Wicker Park neighborhood of West Town. This is up 32% over the 158 sold same period in 2011. The median price for the sold condos is about $373,000. The highest condo sale for 2012 was at 1622 W Julian for $695,575 ...a new construction duplex penthouse with full roof top deck. Bringing up the rear was 1349 N Western... a 2004 construction 2 beds, 2 baths (with parking) foreclosure sale for $150,000. A pretty good deal even with some condo association issues and deferred maintenance. About 45 two beds, two baths condos with parking included sold with a median price of about $330,000. More popular were three beds+ units. 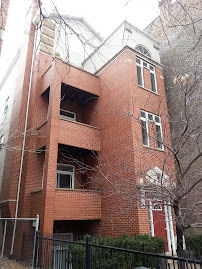 About 75 of these condos sold (including townhouse style) with a median price about $455,000. Our North Center condo listing at 1958 W Byron (asking $239,000) is under contract and set to close in a couple weeks. Great outdoor space set this home apart. The popular location has excellent restaurants, bars, transportation and city amenities right outside your door. 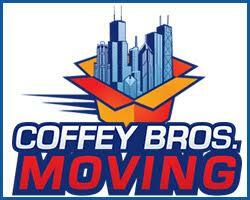 Call us if you are looking to buy or sell North Side condos. With current market prices and interest rates many condos may be a better financial situation and afford a nicer home than renting. 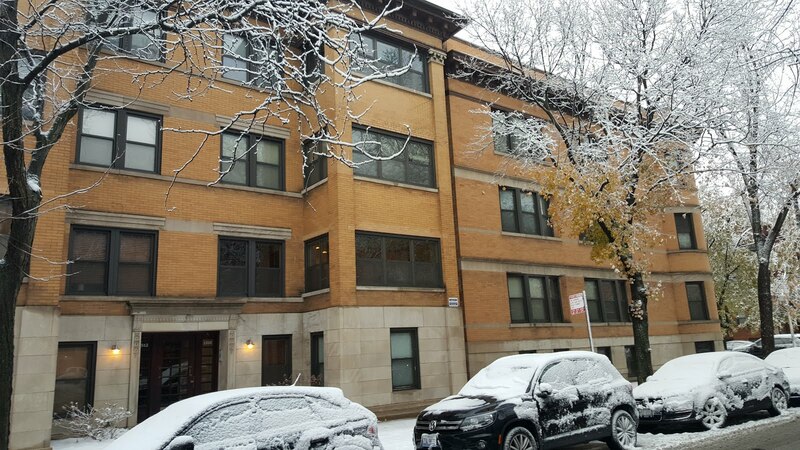 We were in Wicker Park's historic Landmark District meeting with clients last week. It's one of my favorite areas to view architecture in the fall season. Here's a few shots of our client's block. Here's an original mansion on West Evergreen above. The blocks can be both spooky and gorgeous in fall weather. Most buildings and houses have mature landscaping in parkways and front lawns that feels very spontaneous. Here's a side view of a large Wicker Park corner lot home with some updates through the years. 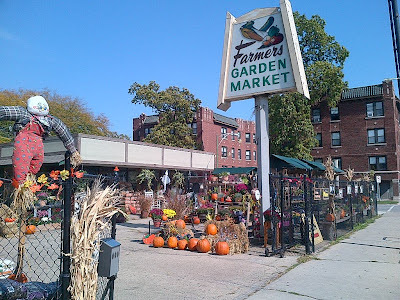 The Chicago Architecture Foundation has a walking tour coming up Saturday, October 28th. Many Chicago tour books feature walking guides of Wicker Park with great information as well. 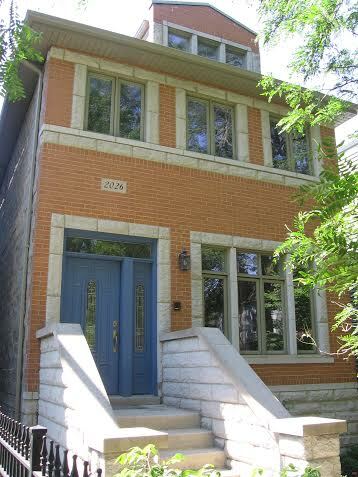 Walk past this single family house located at Wellington and North Lake Shore Drive (inner). Wowie. This a Top 10 in the city for me considering location, surrounding aesthetic and design. Many people will pass by and not even know its there due to the deep set-back, landscaping and fact that most buildings are large multi-units along LSD. 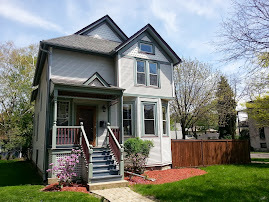 I just did an MLS search for NEW single family home listings in six North Side Chicago Community Areas: Uptown, Lincoln Square, North Center Lincoln Park, Lakeview, and Near North. NEW means they were listed on the MLS within the past 7 days. Only 13 listings were returned! This is a large area with lots of residential single family homes and only 13 returns. Of those 13 listings, only two homes had a for sale price under $1,100,000. Some of these homes are re-listed houses as well, making the number of actual new house listings for sale extremely low. Our listing at 4425 N Paulina at $729,000 was listed and sold after the first few showings. 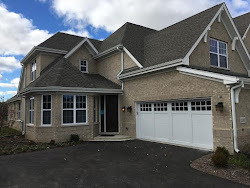 We have several single family home buyer clients under contract (one with a house that never hit the market) and several more intensely looking. It's pretty exciting, actually, to jump on that one good house that trickles onto the market for a particular client. 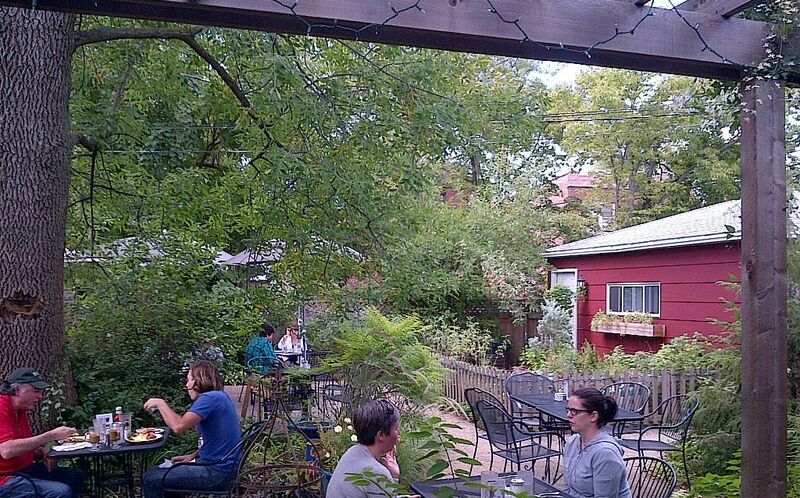 A late September brunch was had at Tre Kroner's fantastic outdoor setting. If you have not been...you must! The new Gompers Park play-lot has recently opened about two weeks ago. Excellent playability! The positive news about home sales and mortgage rates has been everywhere lately...the Tribune, CNN...even my Kiplinger's issue this month had a few features on what buyers are getting in this current market. You should take a serious look at your options for purchasing, selling or re-financing now. 1) Buying your family home for a much cheaper cost to own these days than over the past 10 years 2) buying a condo and having roommates in a nicer home for less than renting (and building equity and getting a write-off on mortgage interest your roommate helps pay); 3) buying a very livable fixer-upper or outdated home and living well under rent prices for your area; 4) buy and live in a two-flat building and receive rental income and tax write-offs for maintenance; 5) Buying and renovating single family homes for profit; 6) and pros are even buying and flipping condo units again. Single family homes have become more affordable relative to incomes around Chicago. Inventory once again seems low in popular neighborhoods on the North Side. For the average buyer purchasing their primary residence its been a very active home selling and buying market. People have begun to feel comfortable about home prices in comparison to renting. The low interest rates have combined with lower home prices to spark some consumer confidence. It will pay to understand your options now for selling, making a purchase or re-financing. You can contact Steve Dunnett, Loan Officer at sdunnett@wintrustmortgage.com or 1-708-289-3408 to discuss mortgage needs. You need house? We find house. Call or email us. Is Horner Park hot or not? A couple years ago we predicted professionally renovated homes would come to the market in increased numbers. 2012 has proved to be a big year for newly gut-renovated homes coming to market and selling handily in several North Side neighborhoods. 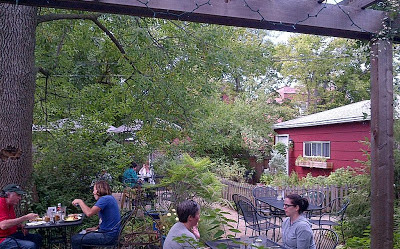 The Horner Park enclave in Chicago's Irving park Community Area has bee particularly active (hot) over the past two years. Distressed (short sale or foreclosures) and estate sale homes in need of total rehab have been selling there for about $100,000 to $200,000 prior to renovation in 2011-2012. Quality "full gut renovations" have been selling from $350,000 to $450,000 this year. Several more distressed and "dilapidated" houses were closed (or currently under contract) this year under $200,000 and will likely be gut rehabs coming to market in the near future. This Horner Park area also features new construction five bedroom homes priced under $600,000 coming on the market now or soon. "Move in quality" three bedroom re-sale homes may also present a bargain. Frame and brick bungalow homes with recent renovations to kitchens and baths sell from $300,000 to $350,000. You want house? Call us. We find house. Live music, games, food and FUN...costumes welcome! Our client recently received and executed offer on 416 W Briar Place #1 - one of the more rare properties we've seen in this great East Lakview location. 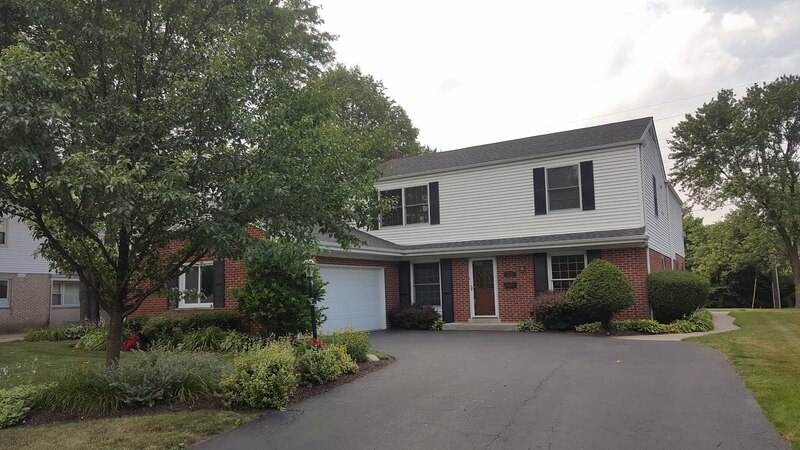 The asking price of our listing is $449,000 plus $30,000 for a large deeded space for 3 car parking. The sale is contingent on several standard conditions. More of our property videos here! 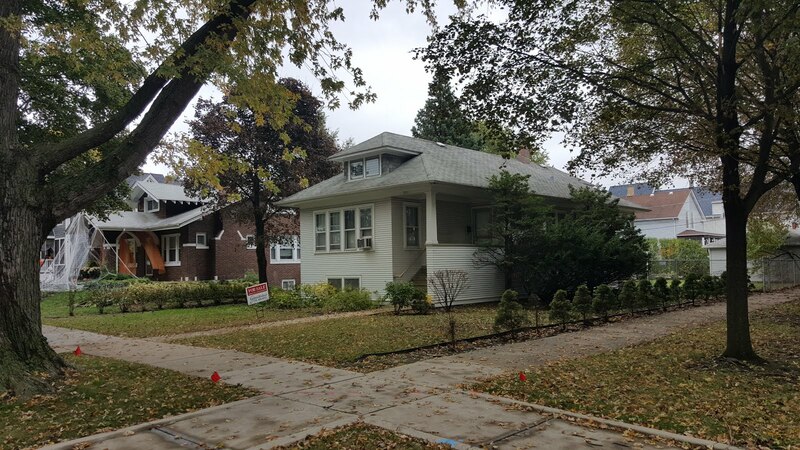 We've recently worked with clients looking to buy a house in Independence Park, just south of Irving Park Road in the Irving Park Community Area of Chicago. 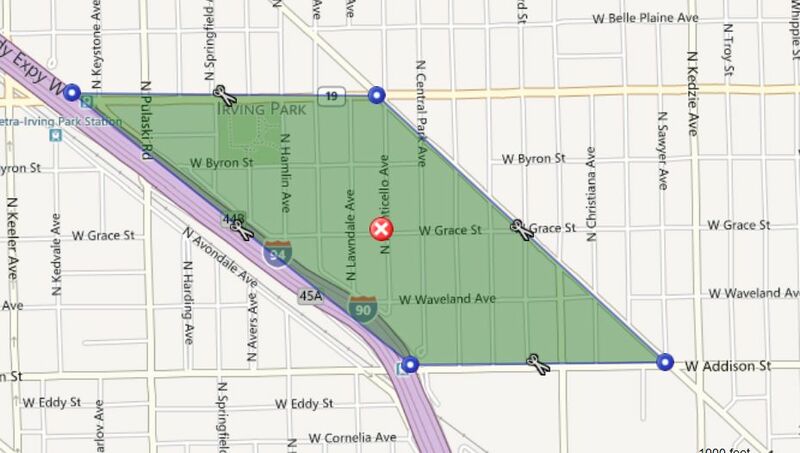 The general borders of the Independence Park neighborhood according to several sources are Irving Park Road to the north, the Kennedy Expressway to the west, Elston Avenue to the east, and Addison Street to the south. 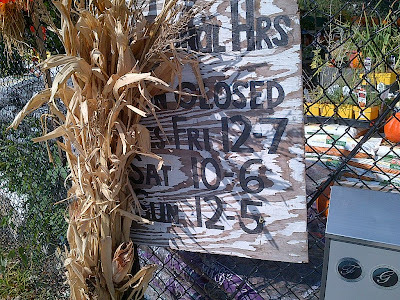 From January 1st to October 2nd 2012, 13 single family homes closed in the small enclave of Independence Park. That's up 85% over 7 homes closed over the same period in 2011. The 2012 median price of a house is about $355,000 - up over the $260,000 median price sale of 2011. 8 homes are currently under contract. Only 3 homes are for sale...all priced over $525,000. The $355,000 median price house affords a well conditioned brick or frame 3 bedrooms single family house with access to Metra and CTA trains. Highway access is of course very good for going downtown, west or north. The housing stock varies from modestly renovated homes that are very serviceable to the more pricey classic late 1800s Colonials and Queen Ann's with vintage details in tact. These classic homes and their well landscaped wide lots can sell from $450,000 to $700,000. 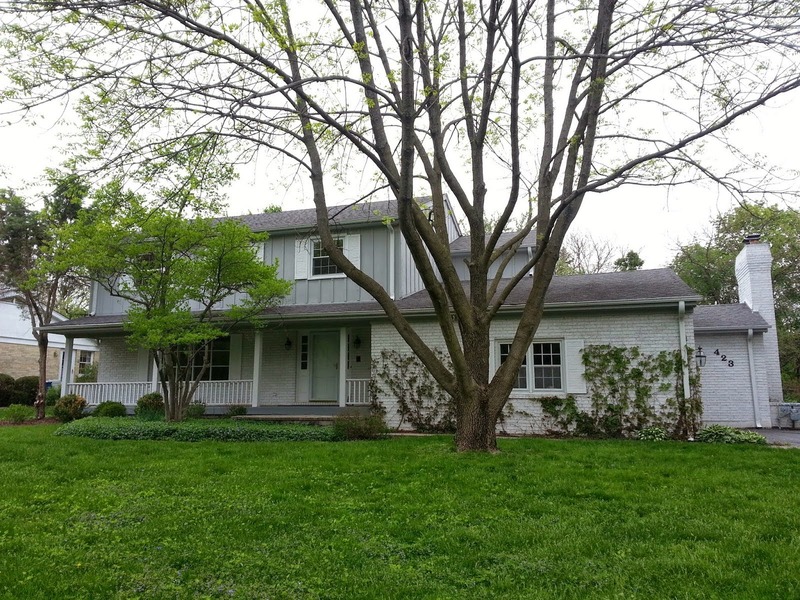 The highest sale in Independence Park this year has been 3821 N Hamlin for $630,000 in May of this year. 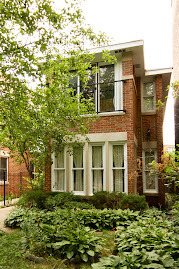 The highest sale in 2011 was at 3646 N Central Park for $400,000. Independence Park sellers, with their desirable niche location, have taken advantage of market conditions this year and sold more homes for higher prices in general. I wrote about this double lot for sale (with tear down property) at 5062 N Ravenswood in December last year. Asking $350,000, I thought it was a steal. Seriously. The home closed in June for $363,000. This somewhat wonky block facing the Metra tracks is a perfect spot for a cool modern build incorporating the landscape. Let's hope anyway. In any event, a really unique parcel and great deal for the new owner. Change is in the air along Lawrence Avenue in Lincoln Square...and so is fall! 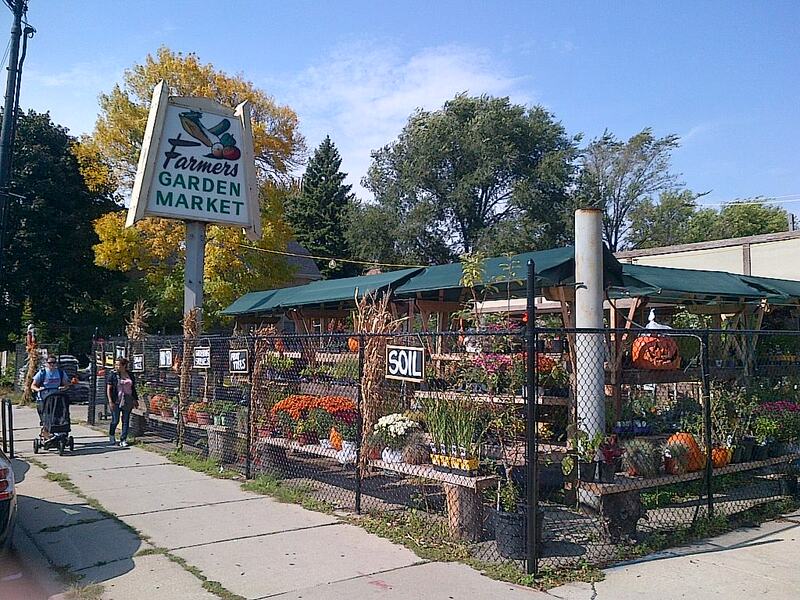 The recently improved Farmers Garden Market is in a great location for the Winnemac Park area residents to walk to. The bright, homey and local business is a joy to see along Lawrence Avenue...not usually known for it's inviting aesthetic. You can but all your fall yard and festival needs here. Residents here anticipate more improved business activity and pedestrian friendly life due to the Lawrence Streetscape Project coming our way. I visited a friend and client at Harold Washington Library Center in late summer and took a tour of the YOUmedia teen learning space. The city is crawling with elementary kids and activities. It's always good to see opportunities for teenage kids and young adults as well. There are great multi-media workshops...music always welcome. Chicagoans continue to deliver many free and inexpensive opportunities to those of all ages looking to stay active and engaged in just about any interest. Teens too! Learn more about YOUmedia HERE! We received an executed contract on our condo listing at 1949 W Leland #3 in less than 30 days. The 2 beds, 2 baths top floor home has a fantastic Lincoln Square area location in the Ravenswood neighborhood. Watch the video of this unique contemporary space with killer kitchen asking $299,000. Early four(!) jackhammer wake-up call at 405 N Wabash near Trump International in River North the other morning...ouch! Believe it or not, this Wabash corridor with Trump, Plaza 440 and 405 N Wabash can often seem peaceful just hidden behind the Loop. Knowing I'd probably be close by with my camera... YoChicago.com sent me a tip yesterday that the long anticipated demolition had started on the shuttered Ravenswood Hospital site. 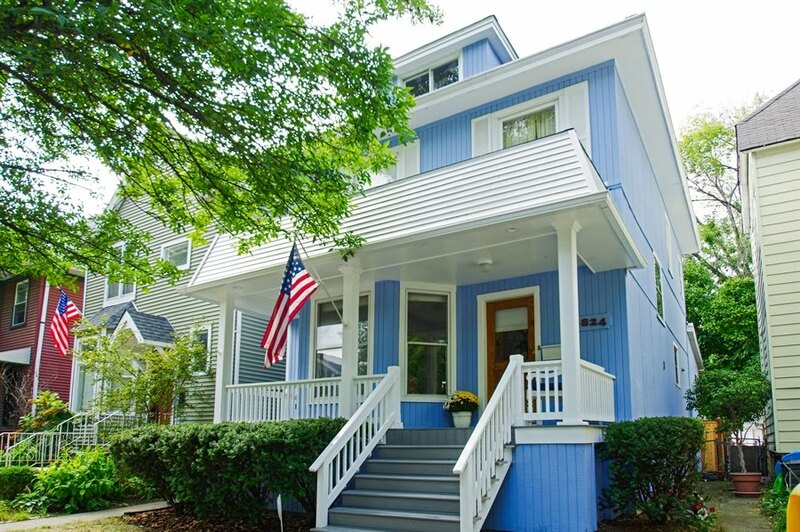 There are very few bombed out behemoths in the greater Lincoln Square community carea...especially in the inner core of residential homes and small businesses throughout the Ravenswood neighborhood. None larger than this place. The CBS Local had a story yesterday and Center Square Journal has followed the story and redevelopment for the past couple years. Looks like a solid two years of demolition and heavy new construction ahead for neighbors. The Lincoln Square area from Montrose going North to Foster is home to an amazing amount of new development and improved infrastructure. Already a fantastic place to live with diverse housing stock options, this Lincoln Square area will benefit from new large scale retail and residential development, a completely transformed West Lawrence Avenue, new attractive private and public school additions and improvements, new bridges and Metra Station... the list goes on. A few weeks back I toured the property at 3434 N Ravenswood...an industrial building for sale at $765,000 (listed by Garret Realty and Development). Our client is interested in completing a modern home renovation.... or an existing ultra modern home on a wide lot. The property sits on a 50' x 123' lot providing a rare wide footprint to create a custom, industrial living space. This has been done to several properties along Ravenswood and it's intersecting east-west streets. Looking at the property going south. There is a large yard under the Brown Line tracks that backs up to the west of the property that belongs to the neighbor. This large open space allows great light into the main level, an added second story and interior courtyard if desired at 3434 N Ravenswood. The same day, we toured the adjacent property to the north at 1801 W Cornelia...an ultra modern residential renovation of the same type of industrial building. Sorry, I took no interior photos. It's easy to pass by this building on Cornelia and never realize its a fantastic residential home...super secret modern indeed. As far as my personal design taste is concerned, one of the top 5 pleasing homes I've been in. To find a renovation project, vacant land or an exisitng modern aesthetic home, please contact us. This home is through attorney and physical inspection and awaits closing. If you are in the Lincoln Square area and need to buy or sell a single family home, condo or multi-unit please contact us. We will develop an individual plan for you. Old Duckworth house update...it's big! 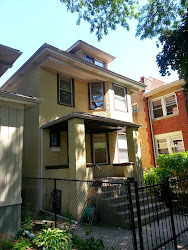 Last year I wrote about the Ruth Duckworth house purchase at 3855 N Ravenswood. The sculptor's home and studio sat on a double lot (50 feet wide) along North Ravenswood Avenue...a corridor in Chicago known for mixed use residential homes and thriving industry. The house and lot were sold for a premium over market value (in my opinion) at $1.2 million in 2009. I passed by last week or so and took a couple shots of the new home being built on the lot. The facade was kept from the old structure and has been restored and refurbished a bit. The interior, totally demolished, will now become a more conventional layout. What the design will be (transitional, modern, traditional) we do not know. Coincidentally, a blog reader of ours inquired about the house last week just after I took the updated photos. My posts last year generated a lot of interest from admirers of Ruth Duckworth and her work. Many hoped some of the original tile work by Ms. Duckworth would be preserved. It will be interesting to see if any of the artist's work ends up in some form at the new home; sculpture, tile or otherwise.